Let’s assume you’re undoubted style diva at your weekend gallivants and now you want to maintain this rather pleasing title. Lets face it…we all look gorgeous in traditional Indian attire. But how do we stay on top of our trend game? 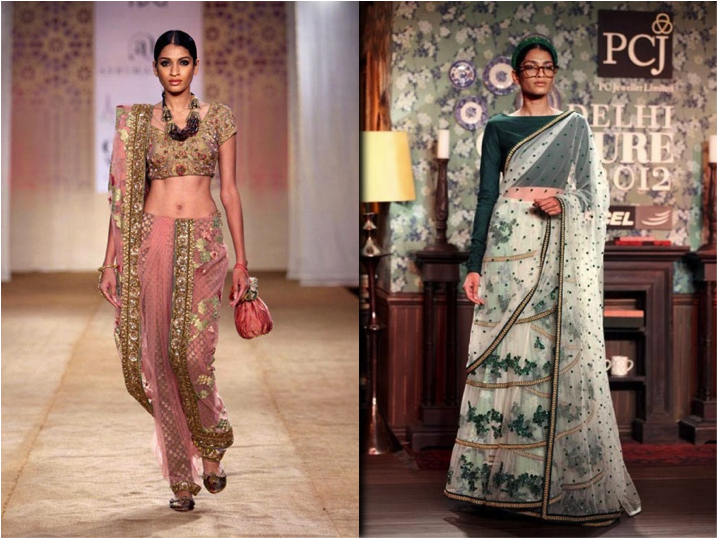 Borrow It Bindaas brings you this season’s trendiest options to wear to an Indian wedding! 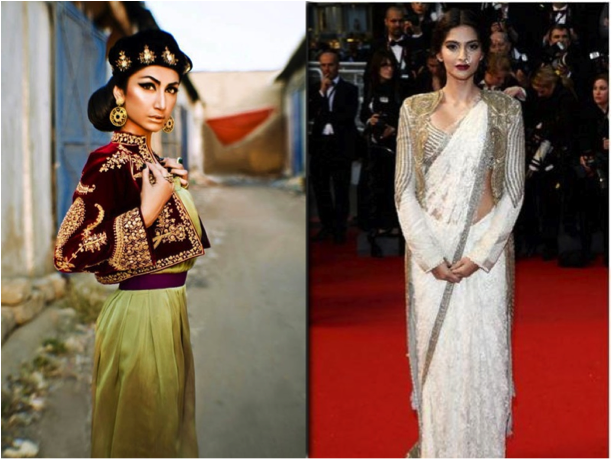 The majestic saree has undergone little change over course of time, until recently. 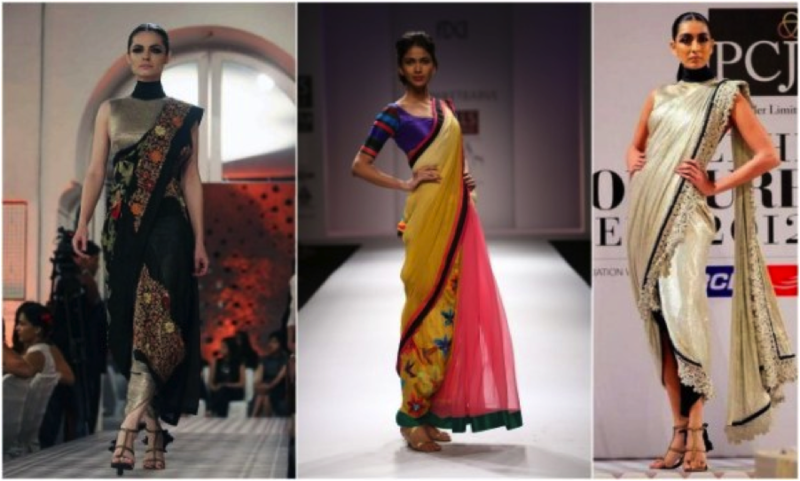 Energizing the saree revival are a handful of young designers, among them Masaba Gupta, Shivan & Naresh, Gaurav Gupta, and Amit Aggarwal. They are reinterpreting the millennia-old garb for a new generation of stylish women. 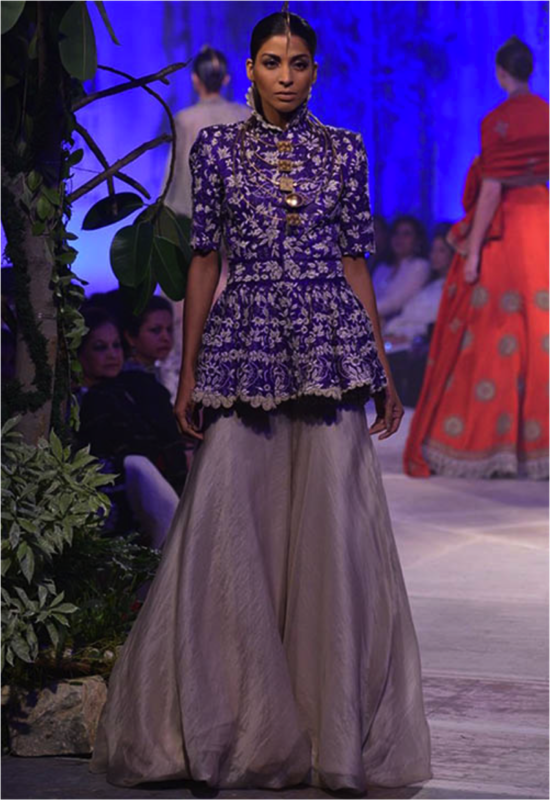 For the dhoti saree, simply replace with your petticoat with a dhoti and keep you pallu narrow. Shararas and ghararas are making a dominating comeback and they rule the sangeet lengha world! The skirt with the long top silhouette really soars the popularity, and possibly because it’s such a flattering style on pretty much all body types! Throw on a jacket-style blouse over your saree. They key word here being “over.” You can play around with the lengths, either opting for a cropped look or a floor length jacket-cape. If you’re ever planning to wear a designer saree just give your humle blouse a second thought and jazz it up with this sensational look. The perfect mix of modern and contemporary style. This type of saree is Indian fashion’s new “IT” thing. This is our personal favorite! It’s stylish, relatively simple, and hassle-free!